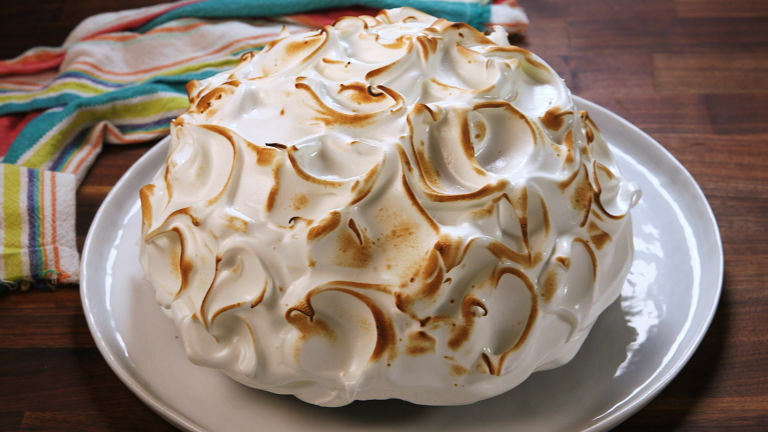 When most people hear “Baked Alaska” they fall into two camps. The first camp has enough knowledge (albeit vague) to reference that it’s a popular dessert from the ’80s that looks CRAZY… but they’re not really what’s in it. The second camp things it’s seafood. I’ve been intrigued by Baked Alaskas ever since I started working in food. They’re the ultimate old-school fancy dessert—but why?! I want to bring ’em back. I’d be lying if I said the prospect of making a Baked Alaska for a video didn’t scare me. I wanted it to look as awesomely layered as the throwback ones do and be easy to replicate at home. Turns out, I didn’t really need to be all that intimidated. 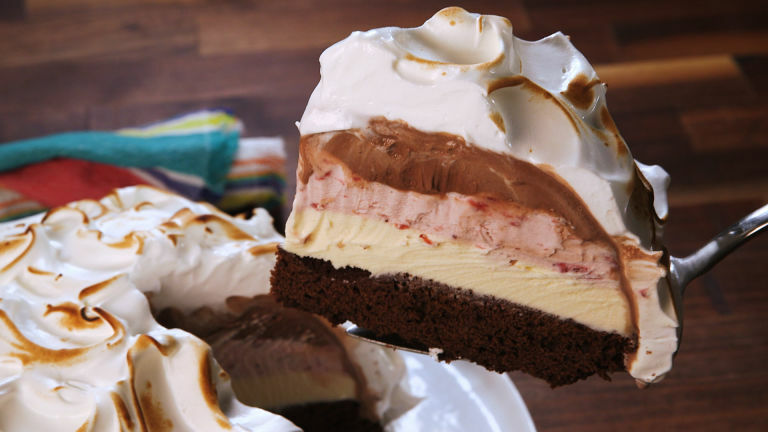 If you’ve made an ice cream cake, a Baked Alaska isn’t all that different. First, you need to pick your ice cream flavors. I went standard neopolitan: chocolate, strawberry, vanilla. You line a big bowl with plastic wrap and start layering your flavors. If you want truly perfect layers, you gotta freeze each one before you add the next, but who has time for that?! If you work quickly and add your next layer before the previous one is melting, you’re fine. Once you get the ice cream in the freezer, you pick your base. You can go cake, cookie, or brownie. I went brownie because it sounded most delicious. Before you bake it, make sure you size your pan to your bowl! Once it’s baked and cooled, turn it out on top of your ice cream and let them freeze together while you make your meringue. Yup, the whole ice cream dome gets covered in a silky meringue layer that gets nice and toasted on top. 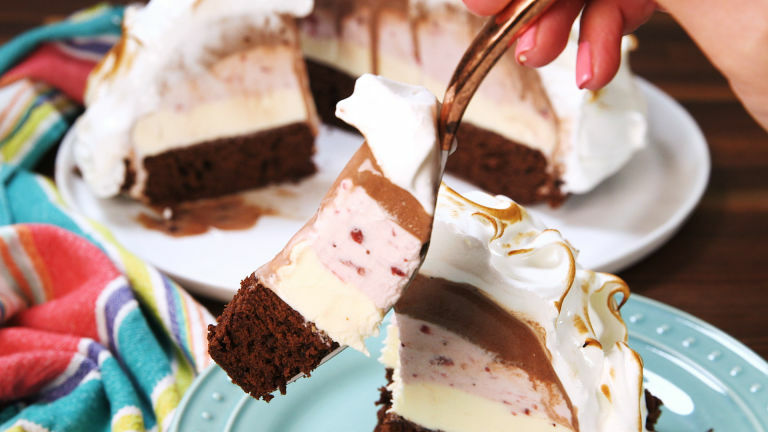 The combo of meringue, ice cream, and brownie is a TRIPLE THREAT. Will you close out summer with this stunner?! PREVIOUS POST Previous post: Does Consuming Milk and Milk Products Cause Acne?